Very Excited about getting one of these, have been holding off for about 6 months to see when the next generation might come out. 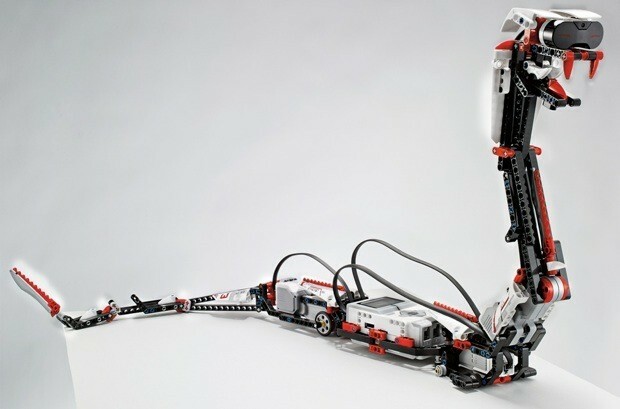 Snake robot sounds cool, depth perception will make for some interesting robots. I haven't even opened up the NXT 2.0 set that I've had for about 12 months (curse those building backlogs)! I'm also really looking forward to these new sets. I guess the fact that they're apparently backwards compatible with the NXT stuff means that at least my current set won't go to waste. I am in the EXACT same shoes (except mine's been sitting there even longer). This will come handy for my trains. Thanks Tkavan01, you make my day!! 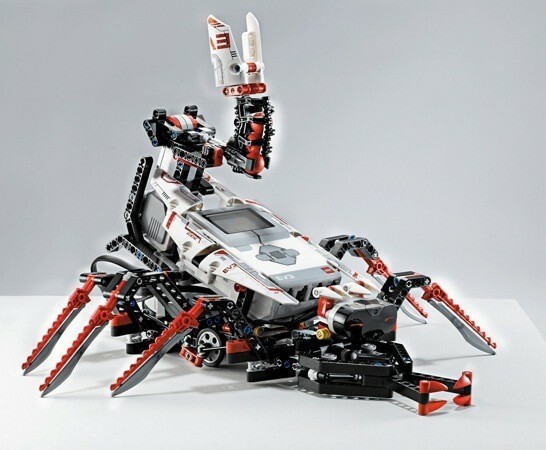 For ages I have been waiting for news about the rumored new Mindstorms Kit. I am pleased with the new, but I expected more of this new version. I was hoping the motors would be more like the PF motors and the brick might have a separate power supply. Nonetheless I can't wait to get my hands on this set. If it's only for the communication with and iPhone or iPad. This will result in all kinds of awesome apps, no doubt about that. Not really sure about the color scheme either. I kinda liked the orange touch to the previous versions. But what the heck, the red color is only visible on the motors, so it seems. Any news on Wifi connectivity? Was really hoping for that. New motors, I wonder if they are upgraded in any way? Do you think the panels and other "white" parts are true white, or "very light bluish grey/light stone grey"? There seems to be a difference in the tone of the NXT motors next to the panels, esp. in the last photo. I do hope the new sonar sensor works better than the current one. I does look better! And it seems the IR receiver is in this sensor as well. I was hoping for more attachment possibilities, but it seems as cumbersome as it is now. I think it is the same white as the StarWars sets combined with LBG. 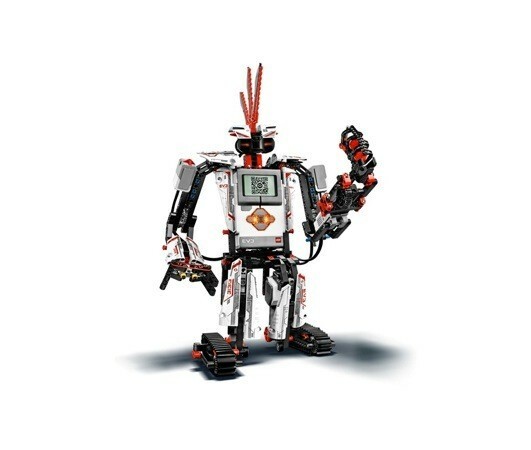 The EV3 system is powered by an "Intelligent Brick" that has an ARM processor, embedded 16 MB of Flash memory, 64MB of RAM, plus an SD expansion slot. 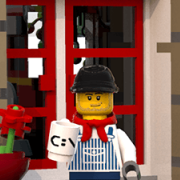 The Linux operating system is at its core, and the brick has USB 2.0, Wi-Fi, Bluetooth and ports that would let you connect up to four other bricks. Out of the box, the EV3 is compatible with iOS and Android, letting you control robots with your phones or tablets. So it's Wifi via a dongle?! A USB host interface, allowing you to hook up a WiFi dongle. There are two different types! The medium motor is at the back of the neck I guess. The set is growing on me! Don't think it has build in WiFi capability. Would be awesome. As Xander stated it will probably be via a dongle..
To types of motors WITH encoders. Seem to be smaller too than the NXT ones..
Btw EV3 sounds awesome too in my opinion.. Doesn't look a huge step forwards from NXT, beyond software/firmware? And there is a medium motor, so there is definitely some improvement. The medium motor is saving the day in my opinion. That's a bit dissapointing, since a dongle connected to the side will stick out like a sore thumb. The large one look a bit bigger, but are probably the same dimensions. The medium looks great!! Ah, that's cool then. The medium motor definitely looks useful. Kind of a shame the intelligent brick is still so large, and presumably still full of AA batteries. Surely it's about time that they moved to a rechargeable LiPo pack for a pricey set like this? - then they could make things a bit more compact. Right now, it doesn't look llike an amazing upgrade from NXT 2.0. Especially if the medium motor may be usable with an older NXT set? Quite some upgrade I would say!!! 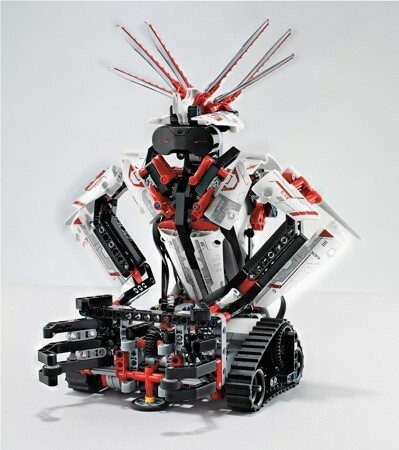 The medium motor is a great asset to the mindstorms family. I was so hoping that TLC would create a separate power supply for the NXT brick. This way you would be more flexible in mounting the huge brick. I was a bit dissappointed at first glance, but like JopieK said, it still is a pretty nice upgrade. Arduino is very nice as well. But using Lego gives it a more playful approach. The NXT unit appeals more to students than a circuit board (I guess, you will know better). Another set in my "must have! cannot resist! divorce is not scaring me" list! We will be waiting for around 6 months and price is around 350$. For how much we can expect to get this in EU? 3 Interactive Servo Motors: 2 large and 1 medium, both have encoders. That's what is included in the box. Could be that there's an extra port. But you have a valid point, this might be a mistake. If there are 4 motor ports, wouldn't TLC make a main model with 4 motors?! Throwing in an extra motor would not make the set much more expensive, right?! Wow was going to get an NXT.2 the week end. Think ill hold on now for this. Lads, what kind of fate will the 2.0 waiting? Would it drop in price? In contrast to other sets getting more expensive, I think this one will drop in price, since there's a better alternative. However, this is only a guess. 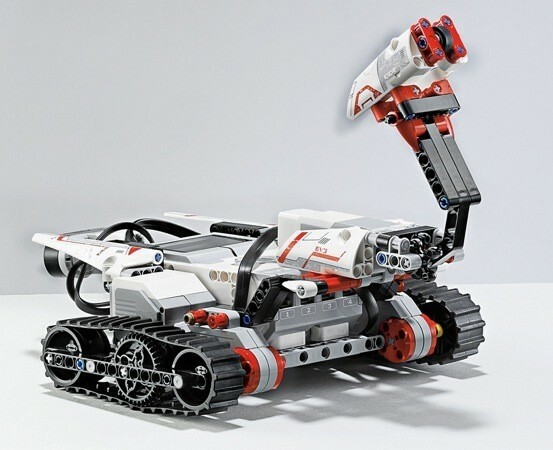 Not sure whether the first Mindstorms dropped in price after the release of the NXT.